After Facebook announced that it was bypassing ad blockers, some accused the network of being anti-user, while others pointed out that it was doing what was best for business. The use of third-party software or browser extensions to block ads has long been a contentious practice. Its impact on ad revenues is clear, and ad blocking is reshaping the digital landscape. Facebook has decided to push back, bypassing ad blockers for desktop browsers and improving its own ad controls for users. These improvements are designed to give people even more control over how their data informs the ads they see. It’s hard to imagine Facebook or the brands that are being advertised on its site getting any sort of value for their ad dollar here: Publishers (like Facebook) alienate their audience, and advertisers (the brands) allow their cherished brand name to be shoved down people’s throats. Wouldn’t it be better to address users (like all of you!) who have chosen to block traditional ads on their own terms? The friction between advertisers and those behind ad blocking is clear, with each trying to deliver a different version of the internet to users. In the case of advertisers and brands, this leads to real losses in revenue and potential losses in terms of clients or customers. With advertising as Facebook’s primary source of revenue, the decision to push against ad blocking is understandable. Facebook also admitted that ads can be intrusive, and that it is trying to serve the needs of users who might block ads, while still honoring its customers, the advertisers. Peter Hamilton, CEO of mobile marketing platform Tune, noted in a statement to SocialTimes that publishers have the right to protect the value of their service or their content. Facebook is well within its rights to disable ad blockers, which ultimately helps to protect the service its users enjoy. Facebook is wise to support its users by providing a meaningful alternative. 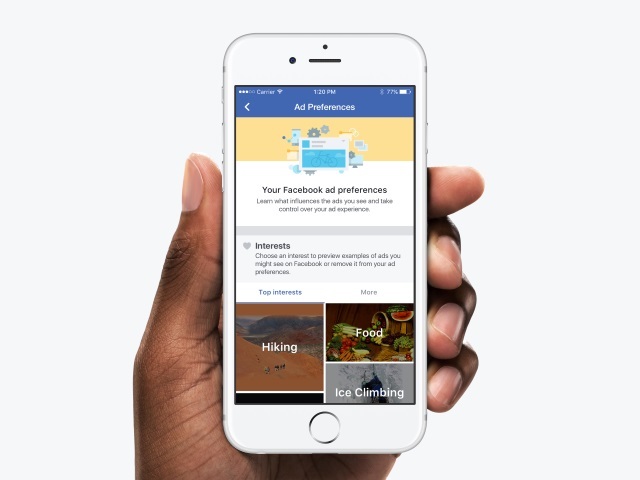 By replacing a consumer’s’ ability to use ad blockers with a more narrow alternative that enables them to block targeting from specific advertisers, Facebook can build trust. However, it should be clear to the consumer that publishers need to monetize their content through sponsorships and ads in order to continue providing they great content they do, for free. Readers: What are your thoughts on this debate?